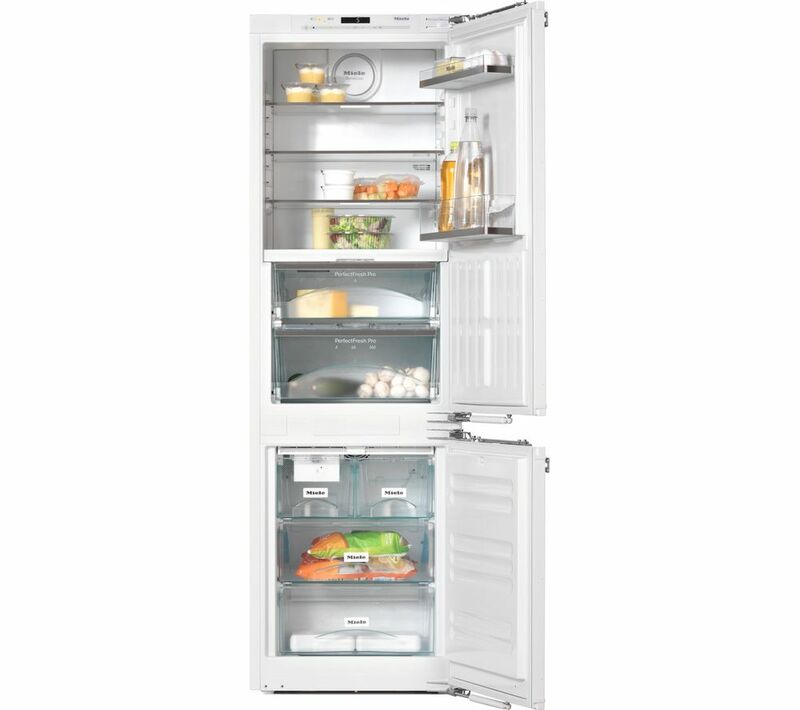 Save on your household utility bills and stay kind to the environment, as this Miele Integrated Fridge Freezer features an A++ energy efficiency rating. Stock up on more of your family favourites and make fewer trips to the supermarket when you make the most of its generous 176 litre total capacity. The freezer compartment is frost free thanks to NoFrost technology. You won't have to spend time and make a mess manually defrosting your freezer, allowing you to get on with the things you need to do. 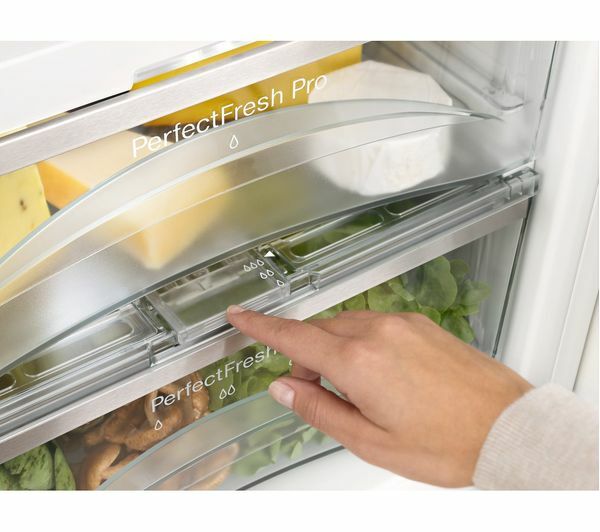 Prolong the life of your fresh produce by placing it in the PerfectFresh Pro drawer, which ensures an ideal temperature and humidity level to maintain the life of your food for longer. 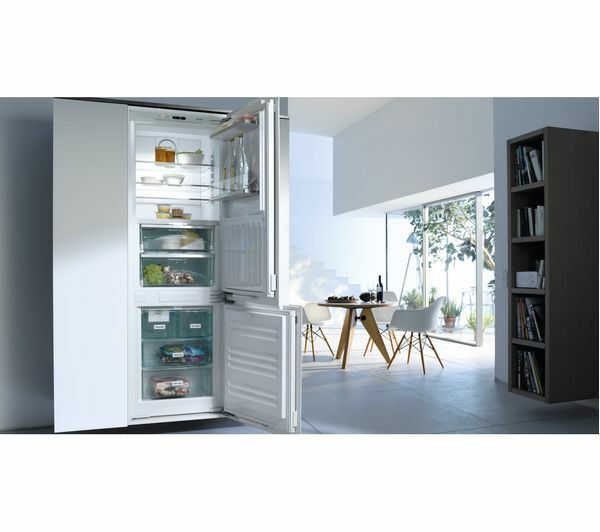 You can also ensure an even temperature throughout your whole fridge compartment, as Dynamic Cooling uses an integrated fan to circulate cool air around all shelf levels. Not only does this ensure a regulated temperature, an even humidity level is achieved so you can avoid soggy puddles around your food. LEDs illuminate each fridge shelf so that the entire interior is evenly lit, allowing you to find whatever you need at any time of day or night. They consume less energy than standard bulbs and give you clear lighting free from glare. 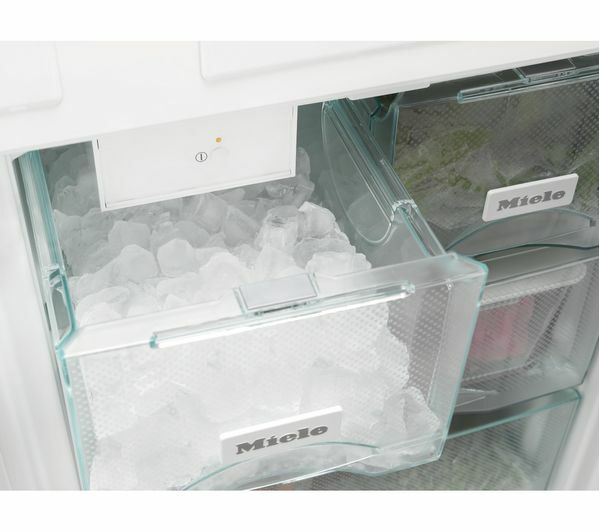 Enjoy cool, refreshing drinks on demand with the built in ice maker. Make up to 100 ice cubes per day when plumbed to you mains water connection. Reversible door. Please consult our Knowhow team or a qualified installation expert to carry out door reversal - select door reversal service when adding product to basket.